Site Builder 3.0 is a web content management system created for use by anyone in University of California Agriculture and Natural Resources to create and maintain a web site. This Help site is dedicated to helping you find your way through it. If you are ANR personnel, you can contact us directly at Communication Services and Information Technology for advice on how to use Site Builder 3.0 or to suggest additions or changes to this Help site. Non-ANR personnel should contact their local coordinator or site administrator for assistance. If you have interacted with the UC ANR homepage recently, you'll have noticed it has undergone a major renovation. Designed to address the evolving needs of UC ANR today and in the future, our new initiative provides the ANR team with the tools to communicate with our audiences in efficient and compelling ways. The UC ANR homepage is just the start, though. We are working to make the new designs and functionality available to the entire ANR community. It is a complicated process, to ensure that our old sites can make the transition successfully without any interruptions or errors. We do have, however, a few sites that have already made the change and are publicly available to check out. If you are eager for your UC ANR site to adopt the new look, make sure to register on SiteBuilder. Or contact us directly at help@ucanr.edu. We are eager to work with you! We've had some requests for more information on how UC ANR users can set up OneDrive. Please follow these directions, or contact help@ucanr.edu for support. Enter your UC Davis email address and click Sign In… You'll be redirected to the UC Davis ADFS page to login. - Note: If enrolled in Duo, you will then be prompted to approve the login. 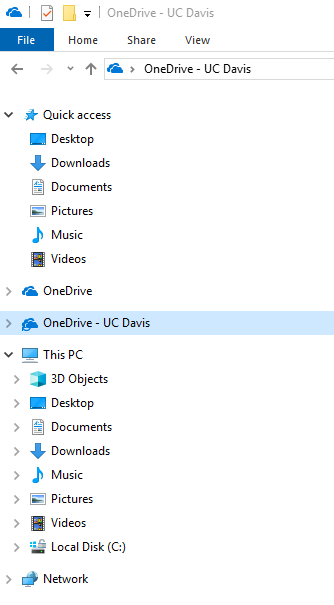 Your OneDrive directory will then appear on the left of your File Explorer window. 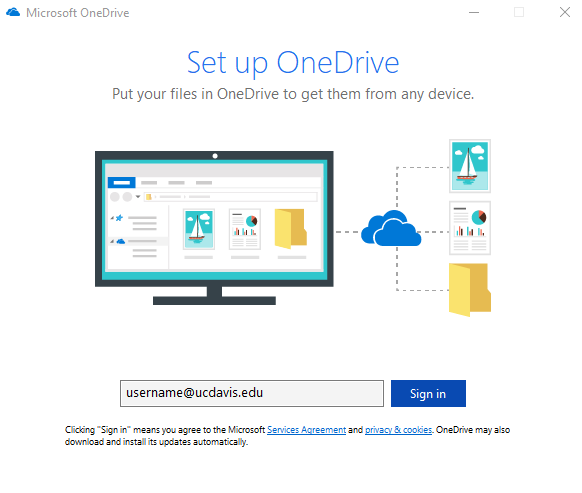 OneDrive syncs to 365.ucdavis.edu in the cloud. 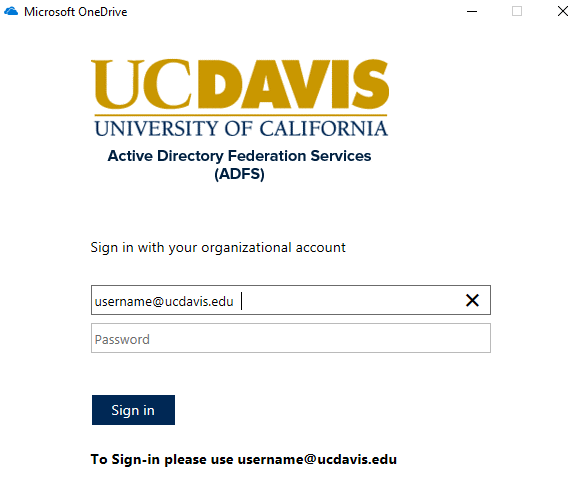 Sign in to your Office365 account (365.ucdavis.edu) and click the apps grid and the select OneDrive. 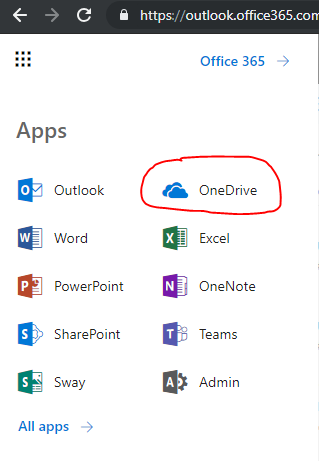 From the OneDrive page you will see your synced files. New SiteBuilder Designs are Coming! Last week, we launched the newly re-designed UCANR.EDU and we hope that the entire ANR community has had a chance to explore the new site. Everybody on the Web team was so excited to release it into the wild and it has been very rewarding to get such positive feedback on the new look and improved functionality. If you would also like to share your reaction, please do so! For those of you eager to get in on the fun yourself, we are almost ready to enable ANR SiteBuilder sites to adopt the new designs. Because the hundreds of ANR sites are so diverse in their look and purpose, we are starting slow, in a phased rol-lout. But those of you who would like to be among the first to transition are encouraged to sign up. We will work closely with early adopters to make sure their sites can take advantage fully of all the new tools now available. If you have visited the UC ANR homepage this week, you surely noticed it has an entirely new, freshly updated look. We are very excited for the public at large to interact with the new site and to deepen their engagement with ANR and what we have to offer. A lot of thought and conversation went into developing the new UCANR.EDU, but we are still implementing the first phase of the transition. There will be some tweaking and troubleshooting in the next few days and weeks. If you notice anything that needs addressing, please contact us directly at help@ucanr.edu. We will begin adding sites to the new design over the coming weeks in a phased rollout. 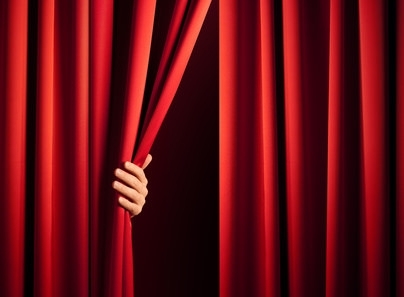 If you want to join the initial transition groups, please let us know. Each of the hundreds of UC ANR sites are unique and have their own specific requirements, so not every site will be ready to adopt the new style at the same time. We very much appreciate the suggestions and feedback we have received in recent months. IT looks forward to working with you all to make our web presence a powerful tool to communicate the profound impact ANR has for the people of California. We will be offering a number of tools and resources to assist you in rejuvenating your own sites and will be available for one-on-on support if you encounter any difficulties. Welcome to the new UCANR.EDU!